Crumbs and Cookies: good morning muffins. The best thing about Christmas? Presents! And I certainly got quite a spread of spanking new cookbooks this year. One of them is Flour. Scanning through the pages, Good Morning Muffins caught my eye. According to Joanne, its filled with wholesome, good-for-me ingredients but still light, moist and delicious. And, its a brilliant excuse to switch on the oven without the guilt. The original recipe called for shredded zucchini, raisins, pecans, coconut and a diced apple but due to the lack of availability of some ingredients, I substituted carrots and diced pineapples for the zucchini and raisins and apples respectively. It's still healthy anyway. 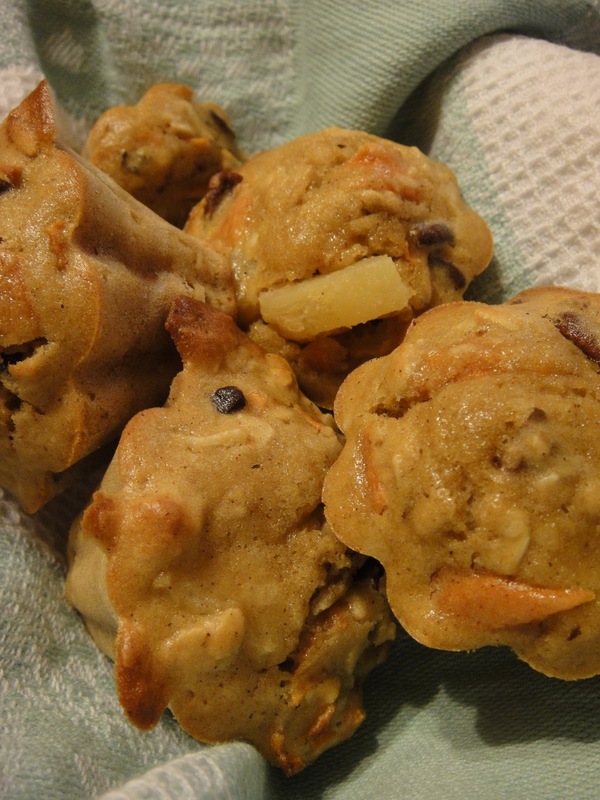 Normally, healthy bakes not-so-secretly gets blacklisted as disgusting chew too. These definitely are not. They are indeed unbelievably moist, even with the addition of oats in there. I have a sweet tooth and I would add in more sugar the next time, given that brown sugar is less sweet than white sugar. I would also up the cinnamon too. There's no such thing as too much cinnamon for me and these muffins had only a hint of my favourite spice. I'm not sure if I'm allowed to post the recipe (plus I'm lazy) so I shall not. If this post is any incentive for you to get Joanne's cookbook, do it! 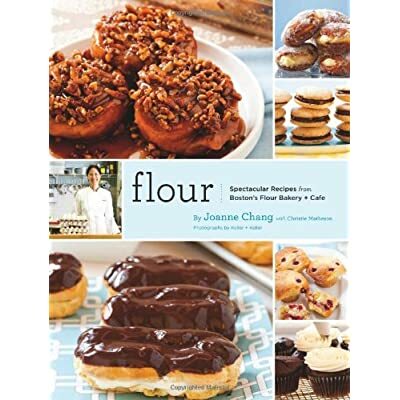 It's truly an awesome cookbook filled with her passion for baking. I can tell that she has put her heart and soul into the makings of it. It's like she is speaking to you about her experiences and recipes, not just dictating how you should carry it out and how it tastes like. I think I've found my new idol! I want to be a pastry chef when I grow up! brown butter cinnamon praline madeleines. nutty sea salt cocoa bark.